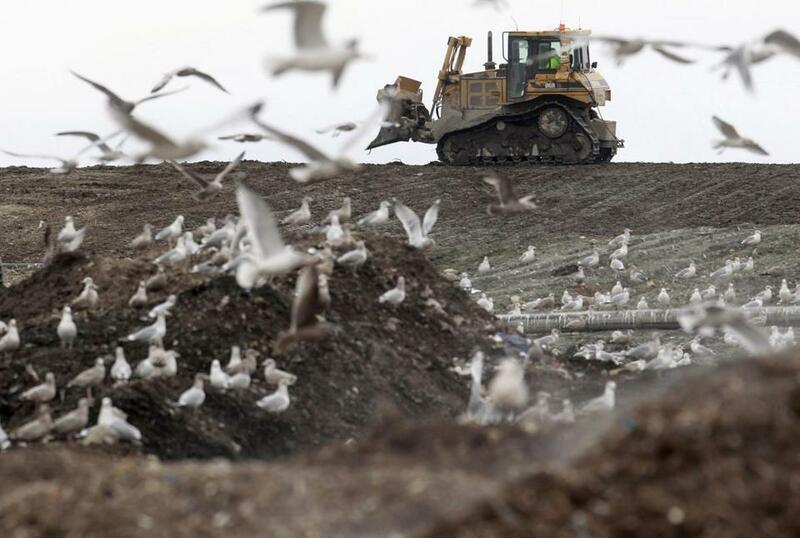 Central Landfill in Johnston, R.I. faces the threat of a lawsuit by an environmental group. PROVIDENCE — Rhode Island’s Central Landfill has been operating without a federally required permit for 16 years and violated a number of other provisions of the Clean Air Act, causing a terrible stench that has plagued the community, according to an environmental group that plans to file suit. The Conservation Law Foundation’s announcement comes the same week there was an explosion at a power plant that turns gas produced by the landfill into energy, which, the group said, highlights the problems. It also said the landfill and power plant are letting so much gas escape into the air that it threatens public health. It is the latest trouble at the landfill and power plant, which are already facing a lawsuit in state court from the town of Johnston over the smell. Mayor Joseph Polisena padlocked the power plant soon after Tuesday’s explosion, and said the company had defied an order a week earlier to cease operations until safety issues were addressed, including pipes he said were held together with broomsticks, duct tape, and rope. On Thursday, the foundation sent a notice of intent to sue the Rhode Island Resource Recovery Corp., a quasi-public agency that operates the landfill, as well as Broadrock Gas Services and its subsidiary, Rhode Island LFG Genco, which operates the plant. The state Department of Environmental Management said it is looking at issues raised by the group and plans to meet with them.